My story begins at 7:00AM on Wednesday the 7th of February 2018 representing Xylem Incorporated. Departing Morrisville, NC to Greenville, NC alongside eight of my colleagues who I don't work with on a day to day basis, it was interesting to hear their thoughts of how the day would play out. Our mission: to take part in the EarthEcho Water Challenge Field Training Program and help activate young water scientists and stewards. We arrived at 9:00am at River Park North in Greenville where we were greeted by the great people from EarthEcho International and Love A Sea Turtle. Our day kicked off meeting with our first group of 62 local 8th grades students; eventually we would reach over 100 youth participants. Armed with our EarthEcho Water Challenge Test kits we split up into groups to gather samples from two different bodies of water at River Park North; each with slightly different conditions. Working with the students we enjoyed asking questions and receiving their answers, some so comically presented, about water quality and the importance of our water resources. We all learned the value of what it meant to have clean water and what we can do collectively to keep our waterways clean. As we taught the students, they taught us. Later on that afternoon we traveled to the Grady-White Boats/E.R. 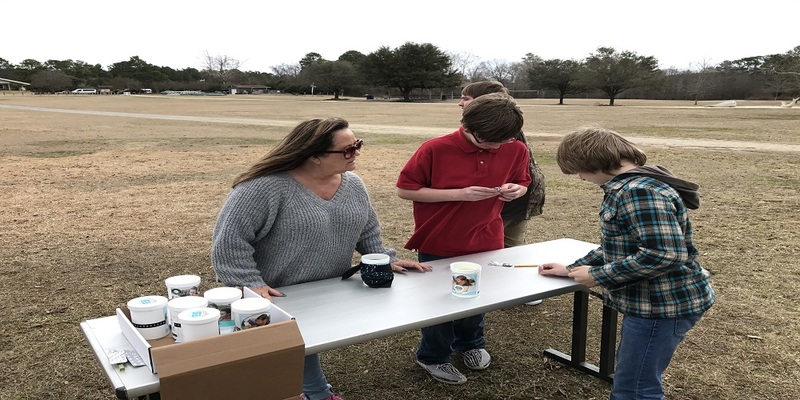 Lewis Family Boys and Girls Club to engage additional young leaders in learning about their local water quality and participating in the EarthEcho Water Challenge. It was a great event that I was proud to be a part of. Editor’s Note: We are grateful for the support of our EarthEcho Water Challenge sponsor, Xylem Watermark, and the dedicated Xylem volunteers like Cheri who engage their community members in monitoring and protecting their local water resources.